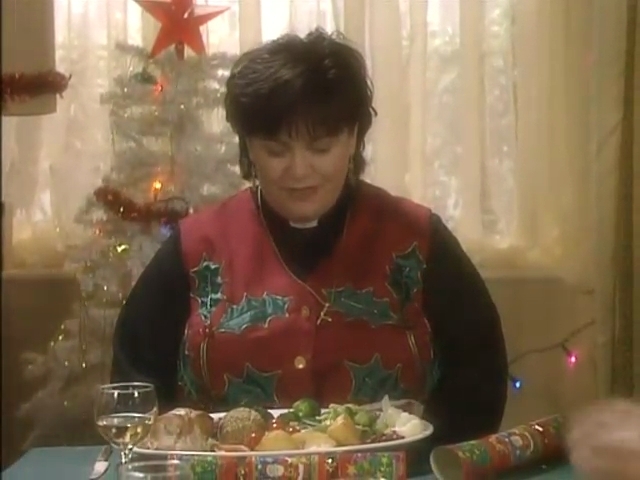 In a famous episode of the BBC sitcom the Vicar of Dibley, local vicar Geraldine Granger is invited to four Christmas lunches. In order not to upset anyone, she accepts them all. At the second enormous meal she is challenged to a sprout eating contest with her hosts, and is reduced to pushing the last sprout into her mouth with her fingers. By the end of the day she is so full that she has to be taken home in the bucket of the local farmer’s tractor! In a season characterised by over-indulgence it’s worth taking a moment to consider what we will be full of by the end of the day, and what our lives will be full of when our Christmas dinners are digested and long forgotten. In the opening of his Gospel the apostle John makes this observation about the life of Jesus, “We have seen his glory, the glory of the One and Only, who came from the Father, full of grace and truth.” The Son of God whose birth we celebrate today lived a life that revealed the heart of God; a God of grace and mercy, who loves us so much that He gave His all, in order that we might have life and have it to the full.